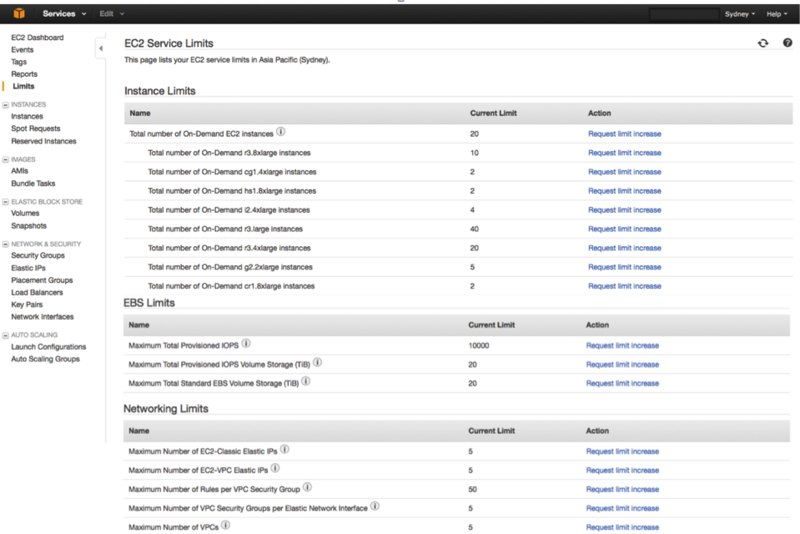 Announcing the immediate availability of EC2 Service Limits Report. EC2 Service Limits Report is designed to make it easier for you to view and manage your limits for Amazon EC2 by providing the latest information on service limits and links to quickly request limit increases. EC2 Service Limits Report displays all your service limit information in one place to help you avoid encountering limits on future EC2, EBS, Auto Scaling, and VPC usage. You can easily access EC2 Service Limits Report by visiting the Reports section of the AWS EC2 Console.